B2B Social Media – Community? We Don't Need No Stinkin' Community! How much does each support call cost you? How much time and manpower do you put into each customer support ticket submitted? Imagine the freed resources if users of your product were able to simply click on an icon and be redirected to an interactive online encyclopedia whose content is run by other users of the product – employees and customers alike! When a particular subscription is up for renewal, if you feel a connection with your current vendor and fellow users of that vendor’s product, are you more or less likely to shop around for other products? Chances are, your customers will feel the same way. This was not made by a marketing team with a soft spot for 7th grade science fairs, but by actual consumers of the featured products. Within an online community, knowledge, theories, and innovation can flow freely among customers, employees, partners and suppliers. Not only can your customers benefit from this wealth of experimentation, but you as the vendor can even discover new and exciting ways to use your product! 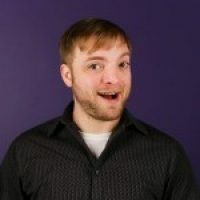 Yes, the basic concept of an online community is customer-vendor communication and relationship building, but it can also be a valuable tool for departments (support, product development, account management, marketing, etc.) to disperse information amongst each other. No, having a successful online community does not mean throwing valuable time and money into an abyss of vanity statistics. In fact, an online community is a low cost, high return way of increasing customer satisfaction and building brand power. 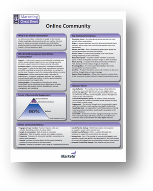 Check out our Online Community Cheat Sheet for a quick, easily digested outline of how to build an online community with the right initiatives in mind.